With all the fury over Black Friday, this one little brand (at least for me) stuck out more than most. New York Public Library! 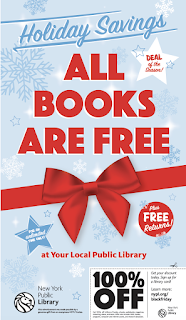 All Books Are Free! Brilliant. Click here to take a look at the messaging on their homepage. Smart marketing can come from surprising places!